Now You CAN Take It With You… Unleash The Mobile Power of Geo! Wouldn’t it be great if you could be in three places at once, all the time? Well, maybe nobody could literally be in three places at once, but imagine harnessing all the power of BuildingLink in one mobile device: you could record and deliver that incoming package, sign in that visitor at the front desk, and handle that maintenance issue on the third floor without ever having to be tied down to your PC. Well, imagine no more -- say hello to Geo, the handheld wireless solution that puts the magic of BuildingLink right at your fingertips. The state-of-the-art Geo solution represents a quantum leap forward in building management technology. Using an iPhone or iPod Touch - and powered by the Geo app available for download from the online Apple store - Geo seamlessly accesses a property’s online BuildingLink database through an authentication key, and allows staff to remotely complete tasks typically done on a stationary PC, including visitor management and security, maintenance operations and front desk activities. So what can it do? The question should really be what can’t Geo do. Geo improves visitor management and security with the ability to sign-in vendors at service entrances and remotely check guest permission instructions. Geo enhances maintenance operations by permitting users to document notes and capture repair photos onsite and in real-time. And Geo expands your “front desk,” allowing residents to sign for packages delivered right to their apartment door. And that’s just the app. Add Geo’s optional hardware component (the Geo cradle), and you can really roam. The cradle, which weighs less than 8 ounces, is a sleek black casing that fits over any iPhone or iPod Touch and features a built-in laser barcode scanner and a magnetic stripe reader for scanning credit cards. With the click of a button, you can now scan packages from anywhere—the perfect solution for those extra-large parcels. Don’t have internet in the basement? Outside the property walls? Not a problem. Geo’s local database allows it to roam where the internet isn’t; as soon as you’re back to internet-land, everything will synch up automatically. So bring a little Geo magic to your building; when it’s time to be in three places at once, you’ll need some! You might not have any “Ghostbusters” on your list of building service providers, but with BuildingLink.com’s Vendor Directory, the job of reaching your vendors and contractors,accessing needed information, and automatically dispatching work orders just got easier. In addition to storing and accessing valuable contact information, searching for specific vendors on our extensive “master list”, or simply browsing our list to see what’s there, building management can assign work orders to outside vendors with the click of their mouse--tracking them right from their desktop. In addition to the management-centric Vendor Directory, contacts can also be imported into a Residents-Only “Directory of Local Businesses” which is shown to residents for their convenience in locating services relevant to their needs. Watch for BuildingLink.com’s next innovation in the Vendor Directory module: tracking a vendor’s compliance with your building's workers compensation and insurance coverage requirements. When Western Rim Property Services and Newport Classic Homes wanted to upgrade the outdated key management system at their luxury Texas developments to the most state-of-the-art system on the market, the choice was clear - KeyLink by BuildingLink®! The KeyLink by BuildingLink system is a complete electronic key security and management solution for the residential and commercial real estate market, with a touch-screen interface that records each key request into a secure and password-protected database. KeyLink is also a third generation internet connected appliance that communicates to staff and residents in real-time, and can send a confirmation e-mail or text message every time a key is removed. Western Rim Property Services chose KeyLink as a solution because it provided the most up-to-date technology. Especially appealing was its intuitive touchscreen, quick install, biometric fingerprint reader and secure SmartTag key tags for efficiently organizing keys. Western Rim ordered an immediate rollout of KeyLink systems to all 13 of its Texas luxury properties. “As part of our luxury property upgrades, we are fully committed to meeting residents’ expectations and introducing the most innovative and exciting technologies available. KeyLink is a great step in that direction,” said Western Rim Property Services Vice President of Property Management Ziomara Young. 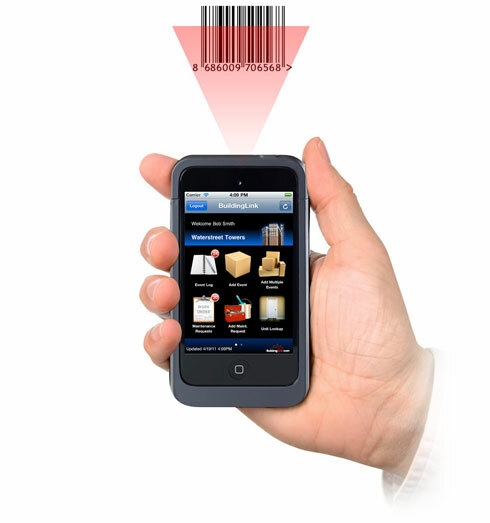 New Front Desk Feature: Amazing Barcode Scanner Tricks! Those of you working on the “Open Events” grid for tracking packages, etc., will have noticed a new “scan a barcode” prompt box in the upper right corner. This is a tip-off to you of some cool programming we have hidden on these screens, that makes your barcode scanner do some “heavy lifting” for you. Here’s the “executive summary” of the new “Open Event Grid” logic. 1. If you scan a new package, box, dry-cleaning tag etc. right from the "Open Events Grid" screen, BuildingLink will say, “Hey, that’s new,” and will bring you to the “Record a New Event” page and insert the barcode for you. Also, if BuildingLink is able to figure out from the barcode which event type it is (Fedex, UPS etc. ), it will even select the right event type for you. 2. 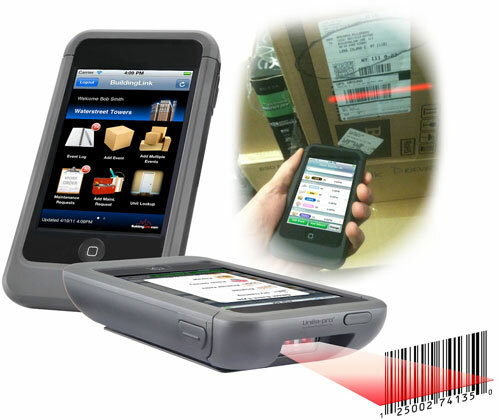 If you scan an existing package, box, dry-cleaning tag etc., BuildingLink compares what you scanned against barcodes you already scanned into open events, and says to itself, “Hey, I recognize that package, box etc. and I’m going to bring up the “Close Event” screen for that package.” So, it does the job of finding the event for you!! How fast is that? How error-free is that?